I received the B.Tech degree in Computer Science from Indian Institute of Technology, New Delhi in 1986 and the M.S. and Ph.D. degrees in Computer Science from Stony Brook University in 1989 and 1991 respectively. 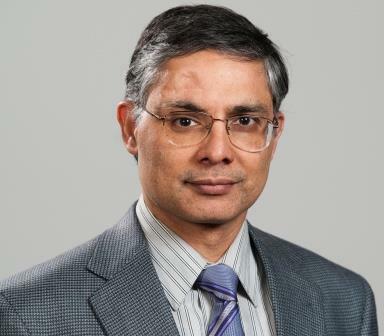 I am Associate Dean for Research and Graduate Programs in the College of Engineering and Computer Science at Syracuse University. Previously, I was a Program Director at National Science Foundation in the Computer and Network Systems Division of the CISE Directorate. At NSF, I worked with the Computer Systems Research (CSR) program and the Cyber-Physical Systems program. I also worked with colleagues in the Engineering and Social and Behavioral Sciences Directorate on the Partnership for Innovations (PFI) program, Critical Resilient Interdependent Systems and Processes (CRISP) and the Research Coordination Networks (RCN) program. I was the Head of the Computing and Information Sciences Department at Kansas State University from July, 2009 to July, 2014. I was the recipient of the Frankenhoff Outstanding Research Award in 2007, NSF CAREER Award in 1995 and NSF Research Initiation Award in 1992.